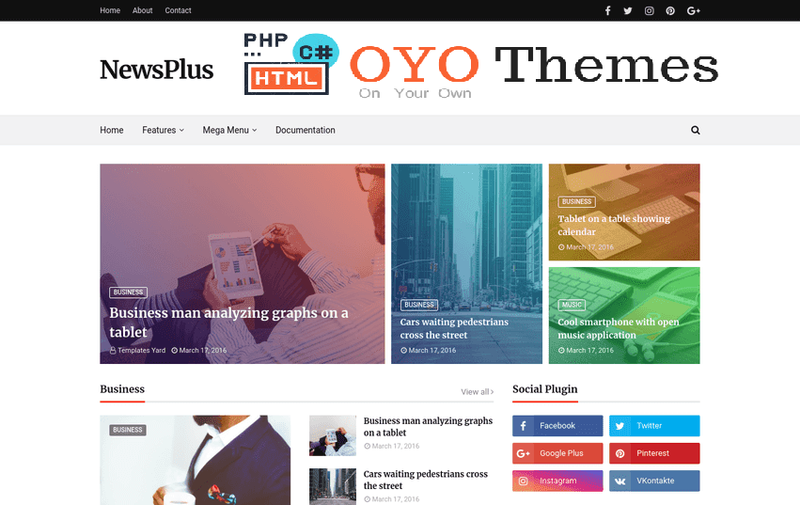 Newsplus is one of the most simple and powerful magazine template for blogger.It is packed with various customized widgets and let's you customized the theme color yourself! Now you can color your theme as you need it! As you want it!. Made with latest technologies and updated codes, it supports blogger's newest sleek commenting widget and many more customization features directly from layout. It is a Minimal News, Magazine & Blog Theme best suited for sites that deliver news about Technology, Fashion, Sport, Travel, Personal, Entertainment. It is packed with various widgets and it is ads ready! Check more awesome features of the Newsplus Blogger Template .